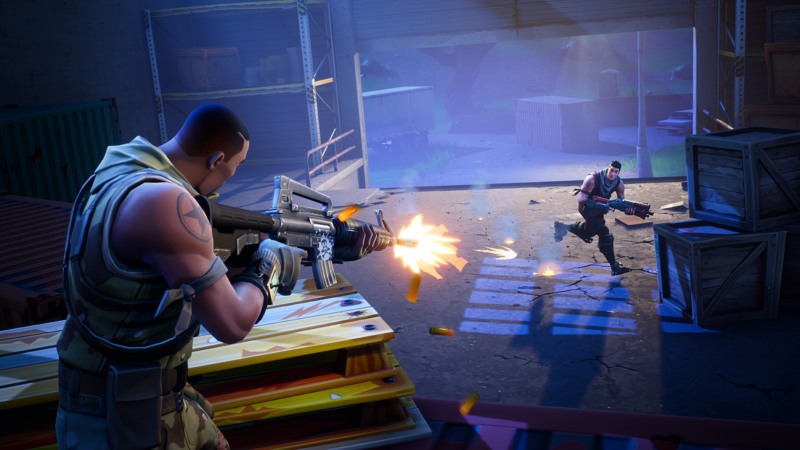 Before there was Fortnite: Battle Royale, Epic Games launched paid Early Access for its upcoming free-to-play mode Fortnite: Save the World. 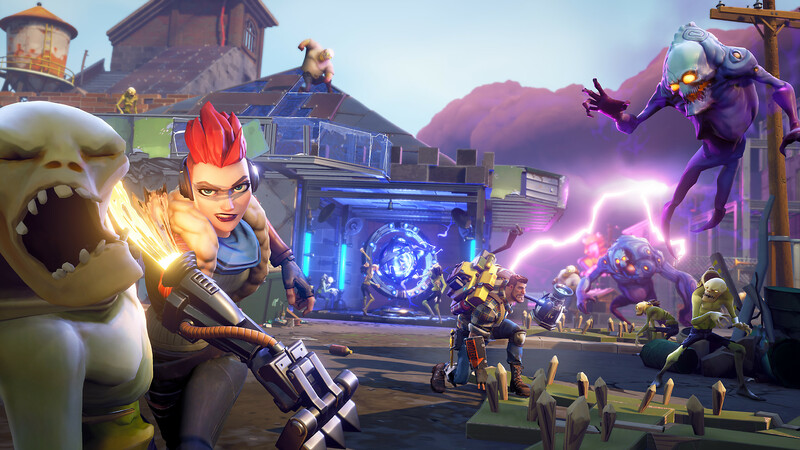 Save the World differs from Battle Royale significantly, with the biggest change being its player-vs-enemy setup, where players defend their forts against zombie-like Husks in an apocalyptic world ravaged by the Storm. 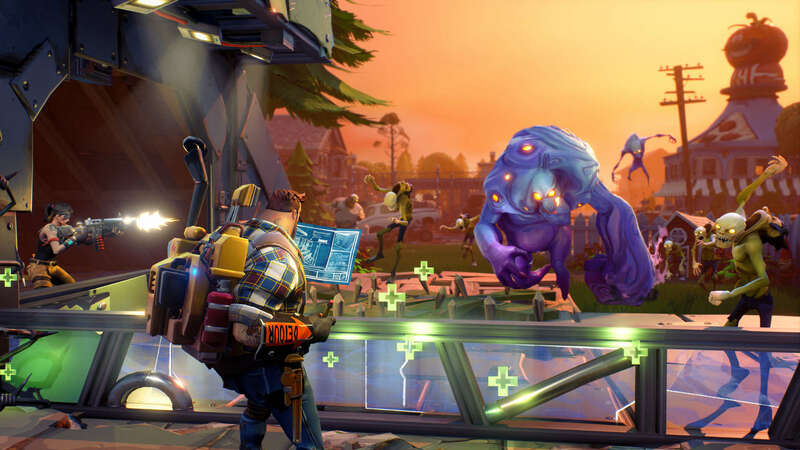 Save the World can be quite complicated for newcomers, especially because it features an RPG-like skill system and loot box hero unlocks. Save the World also features a somewhat complicated meta based around hero classes and the top tiers found between each sub class. While you're still learning the ropes, here's every hero class available in the game—and a quick guide to some of the best sub classes in Fortnite. Every player starts out as a Soldier in Fortnite, and that's for the best. These heroes are the backbone behind any squad, providing consistent firepower with their assault rifles and Frag Grenades. If you want a strong hero that can rain down on the enemy and build simple forts in a pinch, Soldiers are an excellent class to stick with. But you may want to swap out these heroes for another class as you continue to level up in-game and move away from just fine-tuning your combat skills. When it comes to the Soldier's sub classes, there's four sub classes that particularly stand out. Here's our top tier picks. Urban Assault Consider going with Urban Assault if you want to snipe Husks from afar while protecting your forts, as these heroes deal enormous damage with both sniper rifles, assault rifles, and Frag Grenades alike. Master Grenadier While hard to acquire as a Mythic sub class, the Master Grenadier's explosive damage and reduced grenade cooldown makes this choice an incredible one on the battlefield. Special Forces This sub class features a powerful War Cry with a short cooldown that lasts longer than other classes. Combined with a higher ammo capacity, a reduced recoil, and more assault weapon damage, Special Forces is a class to be feared. Commando These heroes feature intense damage buffs that are perfect for getting into the fray and mowing down enemies. Knock back Husks, unload with your minigun on them, and clear up the rest with your Frag Grenades. Oh, and if you're still learning the ropes, don't be afraid to stick with Ramirez as a Rescue Trooper. Her class will teach you everything you need to know before changing up your hero thanks to her varied abilities. Here's every sub class for the Soldier and what stands out about each hero. Berserker Heroes based on short-range combat with quick health regeneration and stacking damage. Bullet Storm Medium- and long-range Soldiers with both high magazines and fast attack speed. Centurion Heroes with traits that support a squad in battle, particularly with War Cry's damage and attack speed buff. Cobalt Commando Sub class for Carbide that deals enhanced damage with his dual pistols. Commando Short- and medium-range Soldier with a powerful Goin' Commando ability that rains bullets down on enemies through a minigun. Demolisher Heroes specializing in crowd control with rapid Frag Grenade renewal. Double Agent Dual pistol-touting sub class with the Lefty and Righty. These heroes can reduce Lefty and Righty's cooldown by killing enemies with their pistols. First Shot Medium- and long-range sub class that relies on burst fire from assault rifles to bring on targeted damage, high DPS, and ongoing crowd control against incoming Husks. Master Grenadier Alternate class for Ramirez which focuses on powerful Frag Grenade buffs and the Goin' Commando minigun ability. Nevermore Powerful Mythic hero who wields dual pistols and buffs his squad with War Cry. Raider Short-range soldier with a knack for shotgun damage and Frag Grenades. Rescue Trooper The first hero class in the game, Rescue Troopers use Frag Grenades, the Shockwave knockback ability, and Goin' Commando in conjunction with one another, serving as a jack-of-all trades. Sergeant Sub class for Jonesy that focuses on using Goin' Commando and War Cry in synergy. Shock Trooper Sub class for Renegade with a focus on knocking back enemies and stacking ranged damage. This sub class also features Goin' Commando. Special Forces Powerful hero with improved assault rifle damage and the War Cry squad damage boost. Support Specialist Support class with a focus on the War Cry buff. Survivalist Durable heroes with a focus on healing themselves by mowing down Husks. Urban Assault Powerful medium- and long-range heroes who receive increased attack speed for headshotting their enemies. If you're planning on running to-and-fro across the battlefield for items and resources, or if you want a class based on rapidly deploying defensive weapons against enemies, the Outlander is a great pick. But otherwise, consider picking another class if you're more interested in combat or building. As for the Outlander's top tier heroes, here's our recommendations. Pathfinder Pathfinder is a perfect Outlander. She's fast, receives In the Zone early on during progression, has Keen Eyes by Level 8, and uses Diamond Llama by Level 25 to increase build material and crafting ingredient loot. If you're looking for plenty of resources to farm, go with Pathfinder, this sub class will make you rich in metal and stone. Recon Scout Like Pathfinder, Recon Scout receives both In the Zone and Keen Eyes early on, making this sub class a perfect choice for Outlanders that want to sprint through the battlefield. In particular, the Recon Scout excels at finding items in hidden places, so go with this sub class if you're looking for valuable loot over building resources. Enforcer The Enforcer can quickly upgrade TEDDY, has the Anti-Material Charge knockback, and can rapidly Phase Shift alongside the class' In The Zone ability. This makes the Enforcer an excellent choice for players that want to deploy a meaty sentry gun that can mow down hordes in a heartbeat. Ranger Most Outlanders aren't suited for gunplay, but the Ranger is different. This sub class receives increased critical ratings and hit damage with pistols, alongside a 24 percent increase in pistol damage from Hipshot. Combined with Ranger's Anti-Material Charge and Phase Shift, this sub class is perfect for taking down Husks. Listed below is every Outlander sub class available for Fortnite: Save the World. The Dark Viking Uses Shock Tower, Seismic Impact, and Anti-Material Charge for crowd control. He's perfect for wiping out Husk hordes and keeping his fellow players safe from damage. Enforcer Single hero specializing in TEDDY sentry upgrades for damage and range. Flash Fast Outlander who can quickly punch enemies and structures in their way. Gunblazer Sub class for Southie focusing on combat, Shock Tower upgrades, and TEDDY sentries. Pathfinder Fast-moving heroes with a knack for increased pick axe damage while running from resources to resource. Phase Scout One of the fastest sub classes for Outlanders, Jess uses In the Zone to increase pick axe damage while running across the map. Ranger Quick heroes that can deploy TEDDY sentries, knock back enemies, and do critical damage with pistols against enemies. Reclaimer Combat-oriented Outlander heroes who can build Charge Fragments for TEDDY, Loot Llamas, and Shock Towers by killing enemies. Recon Scout Outlanders with traits that increase run speed. These heroes also have Keen Eyes, helping them search for containers with valuable items while In the Zone. Shock Gunner Fast-moving heroes that use Phase Shift and the Pump It Up shotgun buff to rapidly run into the fight and deploy Shock Towers. Shock Specialist Similar to the Shock Gunner, this sub class for A.C. lets him quickly drop Shock Towers while running around, collecting resources, and shooting Husks in combat. Striker Melee Outlander that uses Anti-Material Charge to punch enemies and buildings while moving fast and dropping TEDDY sentries around the battlefield. T.E.D.D. Shot Sub class for Jess that focuses on medium- and long-range headshot bonuses and buffing TEDDY. Trailblaster This sub class uses Shock Tower and TEDDY combined to take control of the battlefield, mowing down enemies as they come. Trailblazer Similar to the Trailblaster, uses Shock Towers, TEDDY, and Anti-Material Charge to make sure enemies are kept in their place. Vanguard Uses Phase Shift and Anti-Material Charge to quickly take care of enemies while dropping Shock Towers and Loot Llamas around the battlefield. Wild Fragment Wild Fragment's T.E.D.D.Y. deployments are just as powerful as he is fast. Quickly throw sentries onto the battlefield while collecting Charge Fragments with this class focused on crowd control. Looking to build? You should be—this is Fortnite after all. And the Constructor class is an excellent choice for heroes that want to quickly build their bases and defend against Husks. Constructors specialize in both repairing forts, fortifying structures, and controlling incoming crowds. They're also one of the best heroes for new players to learn, as they emphasize rapid building deployment and improvements through B.A.S.E. in order to maximize passive and active abilities. The Constructor plays an important role on the battlefield, and its top tier heroes focus on defense, crowd control, and improving fort construction. Above all else, here's our top picks. MEGABASE Kyle's MEGABASE sub class expands B.A.S.E. 's connectivity, increases building health, reflects damage by 50 percent, and features Electrified Floors to boot. While MEGABASE is hard to obtain, this sub class provides the best defensive build structure available for a Constructor thanks to its immense buffs for B.A.S.E. Power BASE Similar to MEGABASE, Power BASE focuses on improving B.A.S.E. structures' defenses by increasing damage resistance, regenerating structure health, improving B.A.S.E. connectivity, and providing recycled resources for rebuilding and repairing. For players that want a self-sustaining fort, stick with Power BASE. Hotfixer This sub class simultaneously increases B.A.S.E. 's connectivity while providing significant buffs to build speeds and repairs. Choose the Hotfixer if you want a sub class built for quickly repairing, building, and fortifying your fort while receiving additional resources to expand your base. Machinist The Machinist receives boosts to traps by increasing their durability, lowering their reload rate, and buffing their damage. Meanwhile, this class also expands B.A.S.E. buildings' health, increases its connectivity, and electrifies building floors. For defensive builders and trap fans alike, stick with this sub class. As an honorable mention, consider going with the Sentinel to rapidly drop powerful DECOYs and Plasma Pulses for wiping out Husks in a pinch. Listed below is every sub class for the Constructor, including its strengths on the battlefield. BASE These Constructors focus heavily on the B.A.S.E. ability, which simultaneously causes buildings' pieces to deal energy damage against enemies while resisting damage from Husk attacks. BASE also relies on Bull Rush to quickly knock back and damage incoming Husks. Controller Sub class that enhances the DECOY ability by reducing its cooldown, attracting enemies from further away and reflecting melee damage back at Husks. Demolitionist Uses explosive damage buffs alongside the DECOY, B.A.S.E., and Bull Rush abilities to control crowds. Electro-pulse Powerful sub class for Penny that improves B.A.S.E. and the explosive Plasma Pulse to deal defensive damage against enemy hordes. Guardian Sub class that uses B.A.S.E. and DECOY to wipe out Husks. Guardian also uses Exit Plan to simultaneously increase heroes' speed and increase their blunt weapon critical hit rate. Heavy BASE Similar to BASE, Heavy Base is a sub class for Kyle that focuses on enhanced damage through the B.A.S.E. ability alongside DECOY buffs. Hotfixer This sub class repairs and builds fort defenses faster. It also comes with an increased B.A.S.E. range and a recycling ability that generates new resources regularly. Kinetic Beats Use DECOY and enhanced melee attacks to your advantage, shutting down incoming enemies at close-range while your teammates clean up. Machinist Sub class for Harper that enhances B.A.S.E. damage, improves its connectivity, and buffs trap durability and reload speeds. MEGABASE Sub class for Kyle that features B.A.S.E. improvements, increased building constructions, and additional damage from B.A.S.E. Plasma Specialist Sub class that buffs Plasma Pulse with both a decreased cooldown, improved damage, and faster energy regeneration. Power BASE Provides significant buffs to B.A.S.E. through damage resistance, connectivity, and improved damage reflection. Also features DECOY and Plasma Pulse. Riot Control Like the name implies, these heroes use DECOY and Plasma Pulse buffs for enhanced crowd control against Husks. Sentinel Sub class for Hype that uses DECOY and Plasma Pulse together to control crowds. Tank Unlike other Constructors, this sub class for Penny features significant melee buffs, including Bull Rush and enhanced damage with blunt weapons. Vintage-Tech Vintage-Tech lets players zone areas with the sub class' enhanced Plasma Pulses, keeping forts safe from enormous Husk hordes. Warden Melee-oriented sub class for Kyle with regenerating health for both himself and his squad. Not unlike Soldiers, Ninjas are excellent for combat. But instead of using assault rifles, these characters focus on melee damage by running up to Husks and using swords and other close-range edged weapons to deal damage. Ninjas can quickly run in and out of battle while dealing damage against Husks, but of course, this means they're one of the most difficult classes in the game to master: Players that are too aggressive will quickly find themselves overwhelmed by enemies. The Ninja is a highly agile class, and its melee gameplay mechanics may not appeal to every player. But for those interested in the Ninja, here are its top tier heroes. 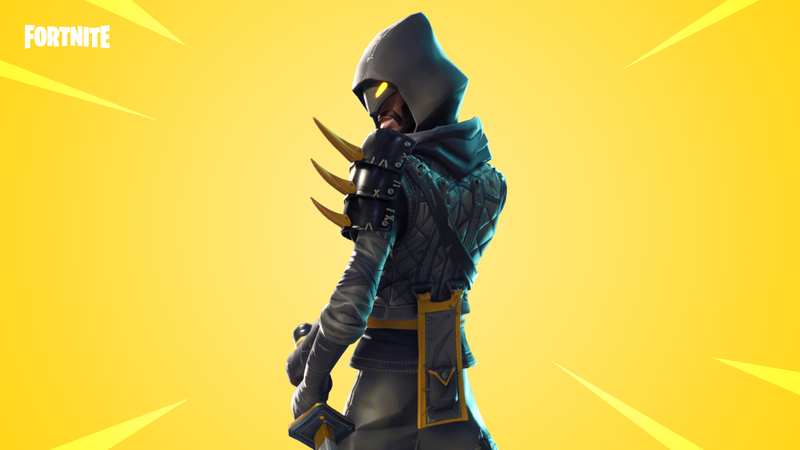 Dragon Fortnite: Save the World players generally agree, the Dragon is a top Ninja pick. Dragons receive significant range and damage buffs to Dragon Slash early on during level progression, and the Dragon's Shadow Stance and Shadowier Stance abilities grant the Dragon incredibly high damage resistance. Dim Mak With Mari's Dim Mak, Smoke Bombs face a reduced cooldown and give players faster movement speed for 15 seconds after use. Combined with a buffed Shadow Stance and Dragon Slash ability, Dim Mak can quickly stun, damage, and slash through enemies within seconds. Shuriken Master This sub class is an excellent choice for one reason: Its abilities stack extremely well. The Shuriken Master has passive traits that reduce cooldown and cost on Throwing Stars while buffing Corrosive Stars' damage and providing more stars to throw. Swordmaster When it comes to swordplay, the Swordmaster features Five Winds Cut and Dragon Slash, which both increase Ken's damage significantly. And then there's Shadow Stance, which gives Swordmaster increased damage resistance along with a 70 percent damage buff after acquiring Masamune at Level 30, giving this hero one powerful sword stack. Listed below is every Ninja sub class available in Fortnite: Save the World. Alchemist This sub class for Sarah focuses on rapidly regenerating health and using smoke bombs to heal nearby allies, making sure the Alchemist can escape from battles unscathed. Assassin These heroes can jump higher and use Dragon Slash to spring forward further, along with increased damage buffs and attack efficiency while using swords. Brawler This sub class for Luna focuses on stunning enemies and finishing them with improved sword damage. The Cloaked Star Mythic Ken sub class that relies on rapidly using Throwing Stars to take down enemies from both nearby and afar. Deadly Blade These heroes rely on Throwing Stars and critical hits to kill enemies. Dim Mak This sub class for Mari focuses on rapidly deploying Smoke Bombs and using Shadow Stance to increase damage resistance. Dragon Heroes with enhanced survivability through Shadow Stance. They also perform crowd control quite well with Dragon Slash and Throwing Stars. Energy Thief Sub class for Mari based on swordplay and regenerating energy to rapidly reuse Dragon Slash. Explosive Assassin Slow down enemies with Smoke Bombs and deal powerful sword damage with this sub class that features a buffed Assassination trait. Fleetfoot This sub class for Ken focuses on rapidly entering and leaving the battlefield with Dragon Slash, Mantis Leap, Smoke Bombs, and Throwing Stars. Harvester Ninja sub class for Sarah focused on Smoke Bombs and Shadow Stance to increase survivability. Piercing Lotus These heroes use Crescent Kick and Smoke Bomb to crowd control their enemies before finishing them off with poisonous Corrosive Stars. Shadow Stance provides these Ninjas additional damage resistance on the battlefield, too. Shuriken Master Heroes that rely on rapidly using Throwing Stars and Smoke Bombs to take down their enemies. Skirmisher These heroes use both sword damage and Throwing Stars to cut down their enemies. Use the Crescent Kick to deal additional damage and stun foes, too. Stonefoot Crowd control-based sub class for Crash that relies on Shadow Stance, Crescent Kick, and enhanced sword damage to shut down enemies. Swordmaster Powerful sword-based sub class for Ken that relies on significantly increased sword damage to take down Husks. Thunderstrike Heroes that rely on both their Crescent Kick stuns and improved melee damage against knocked back, staggered, and stunned enemies to deal damage.